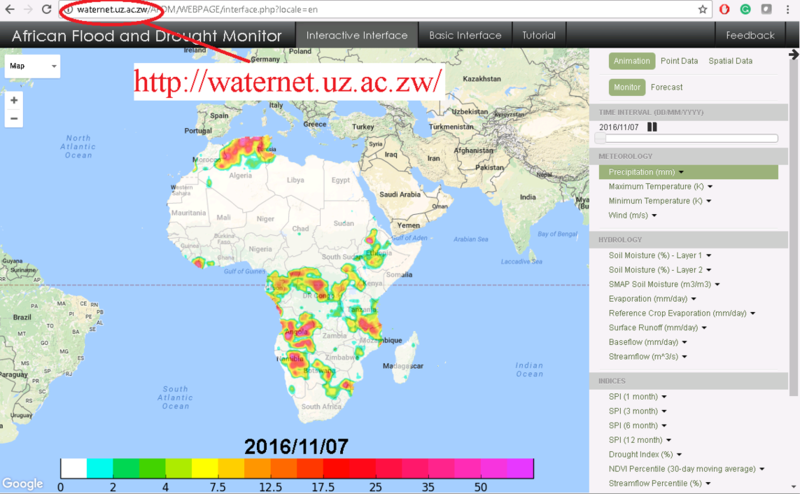 ICIWaRM partner Princeton University held a workshop on Drought Monitoring for Southern African Countries on November 9-11, 2016. The three-day training workshop on the G-WADI/Princeton African Flood and Drought Monitor (AFDM) for Southern African Countries was held in Harare, Zimbabwe. It was co-organized by WaterNet and the Southern African Development Community (SADC), and about 30 water professionals from SADC countries and the WaterNet Secretariat were instructed on its use. ICIWaRM helps fund development and applications of the AFDM; ICIWaRM is the Technical Secretariat for UNESCO-IHP’s Global Network on Water and Development Information for Arid Lands (G-WADI). UNESCO’s event summary may be found here. WaterNet’s write-up is on p. 18 of their first 2017 newsletter.